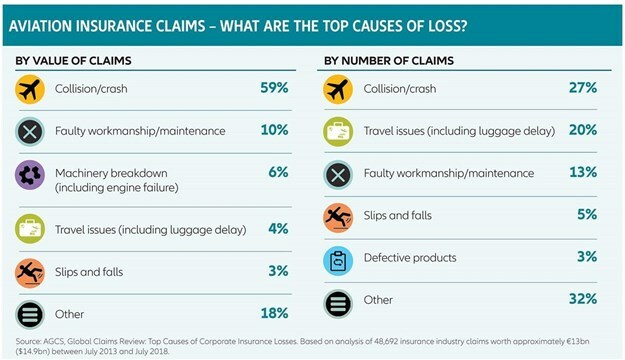 Aviation claims from this data set show collision/crash incidents to account over half the value of all claims (59%) and more than a quarter by number (27%). Such incidents do not just include major crashes; they also incorporate events like hard landings, bird strikes and runway incidents such as incursions and excursions (the average claim for which is now almost €1.4mn - $1.6mn). With engines that are more reliable, and technology, and following significant improvements in airline risk management, serious accidents are far fewer. According to the International AirTransport Association (IATA), there was just one major accident for every 8.7 million flights in 2017 – over four billion travellers flew safely on 41.8 million flights. "For the first time in more than 100 years of aviation history in 2017 there were no fatalities on a commercial airline, a remarkable achievement by any measure," says Kevin Smith, global head of aviation claims at Allianz Global Corporate & Specialty (AGCS). "This is not an aberration. Flying has become a much safer mode of transport and is the result of the considerable efforts of aircraft and engine manufacturers to get to this stage." With more than one million people in the air at any one time, this impressive statistic is to be applauded but 2018 did see a number of fatal airline accidents, the worst being the loss of a Lion Air Boeing 737 off Indonesia in October 2018, which went down shortly after take-off with the loss of 189 people. This incident followed the loss of a Cubana de Aviación Boeing 737, in May, which also crashed shortly after take-off, killing all but one of the 113 passengers and crew. In addition, 2018 also brought a number of total hull losses, where all passengers survived. For example, a Pegasus Airlines Boeing 737 was written-off after it overshot the runway at Trabzon Airport, Turkey in January, while a Xiamen Airlines Boeing 737 was declared a total loss after it crash-landed in bad weather in August. In total, 2018 saw a total of 15 fatal airliner accidents, resulting in 556 fatalities, but this still ensured it was the third safest year ever by the number of fatal accidents and the ninth safest in terms of fatalities, according to the Aviation Safety Network. "Pilot error is a major factor behind many aviation accidents," says Smith. "It has been estimated that as many as 95% of airline accidents involve human error in some capacity. Aircraft are now very safe but most accidents involve errors of judgement, such as taking off in bad weather or the way in which a pilot reacts in adverse conditions." 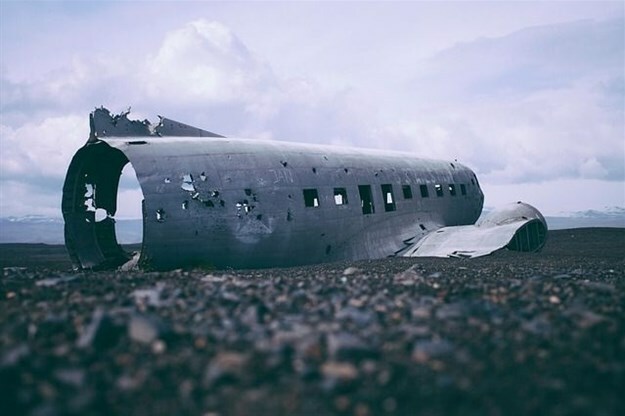 While catastrophic air crashes are now far less frequent, the overall frequency of aviation claims is slightly up, due to factors such as higher repair costs, increased values at risk and the relatively low deductibles maintained by airlines in what has become a highly competitive aviation insurance market. The average deductible at $1m today is around the same as it was in 1982, yet aircraft values have increased threefold, explains Smith. Claims frequency is up, but this is not the only factor. The size of loss has increased and deductibles have not kept pace with technology and values. A $5m loss today would probably have cost just $1mn five years ago and been within the deductible. The use of composite materials in aircraft manufacturing really took off around a decade ago, and today the majority of the world’s commercial airline fleet now relies on such materials. Composites – such as carbon fibre layers bonded with resin – are strong, but also light, therefore reducing weight and increasing fuel efficiency. Such materials are now used extensively in modern aircraft – some 50% of Boeing’s 787 Dreamliner is made of composite materials by weight. "Composite materials have many benefits, but they can be more challenging and expensive to repair," says Smith. "Aircraft manufacturers may not have envisaged the realities of repairs when developing these materials a decade or so ago." The claims experience has revealed a higher repair cost associated with composite materials which are generally more expensive to manufacture than traditional metal alloys, more labour intensive to repair and often require a larger repair area. "We are now at the stage where we have had some seven or so years of claims experience with composite materials and we can say that composite aircraft are more expensive to repair," says Smith. For example, a claim involving a fire under the front landing gear of a 787 cost $13m to repair. The same incident for an older generation metal alloy aircraft would have cost somewhere between $3m and $4m. "With increased air travel, congestion in and around airports has become an issue," says Smith. "In many cases, airport infrastructure has not kept pace with the rapid growth in passenger and aircraft numbers. With more aircraft on the ground, servicing areas and aprons have become more congested and this is resulting in an increase in the number of collisions with other aircraft or ground handlers." Then there is the threat to the sector posed by technology or cyber-related losses, such as physical damage to aircraft or business interruption such as IT system outage. Cyber risk ranks as the number one concern for the aviation sector for 2019, according to the eighth annual Allianz Risk Barometer which surveys industry risk experts. To date, there have not been any major aviation claims triggered by a cyber incident, although insurers have paid out on some indirect cyber claims. For example, AGCS settled a liability claim from passengers seeking compensation for flight cancellations caused by a ticketing system failure. While crewless passenger aircraft are some way off, autonomous flight is an emerging area for aviation insurance claims. 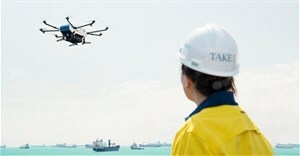 AGCS has a growing global book of drone insurance and has seen a corresponding increase in claims. As drone use broadens into different areas, claims will become more relevant" says Smith. Figures represent how often a risk was selected as a percentage of all responses for that industry sector. Figures do not add up to 100% as up to three risks could be selected.